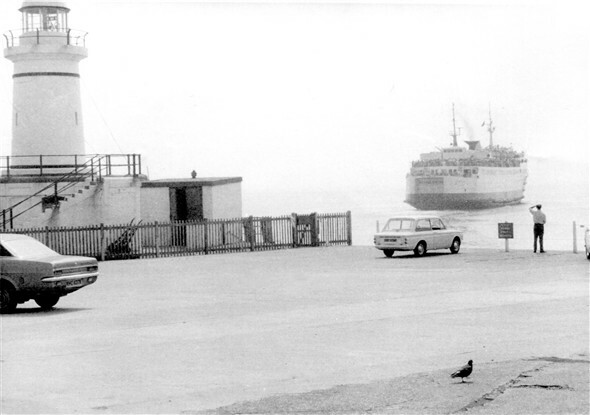 A selection of images taken around the harbour in the 1970s by Lisa Eades-Aylward's grandfather, Sidney Eades. The old West Pier lighthouse and signal mast. The mast would show one or two black balls, allowing vessels to enter or leave the port. 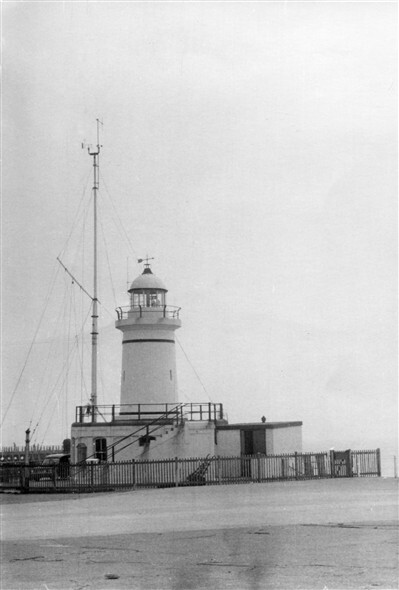 At the bottom of the lighthouse was a small room where the man on West Pier duty would also operate Newhaven Radio's VHF service on channels 16 and 12. 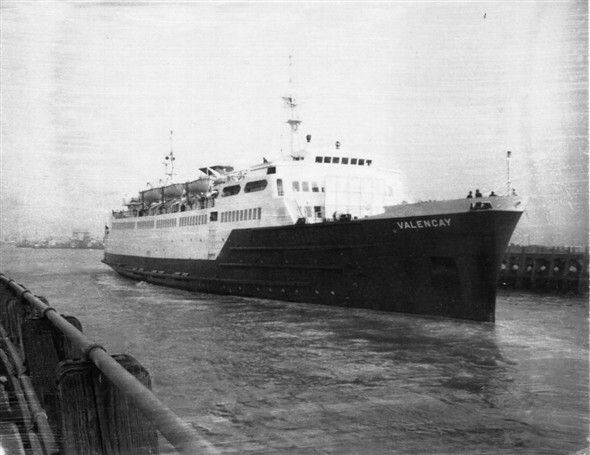 Here we see one of the 'V' twins, Villandry or Valencay leaving harbour en route to Dieppe. The cars are a Hillman Imp and a Vauxhall Victor. The Victor has an 'N' registration number, so the photo is post 1974. And note the 'Fishing Strictly Prohibited' sign on the railings. Totally ignored then (and now!) by countless fishermen, even though they would be in clear sight of the people tasked with 'enforcing' the rule! A bit grainy, but a view of our sandy beach at low tide. Anyone for a swim or a spot of sandcastle building? 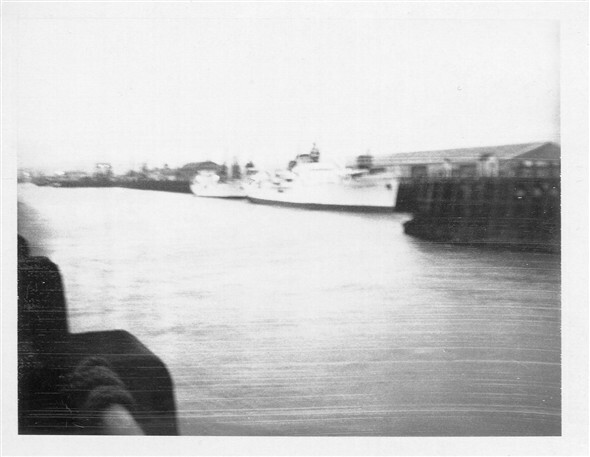 Valencay is seen arriving at Newhaven after a crossing from Dieppe. 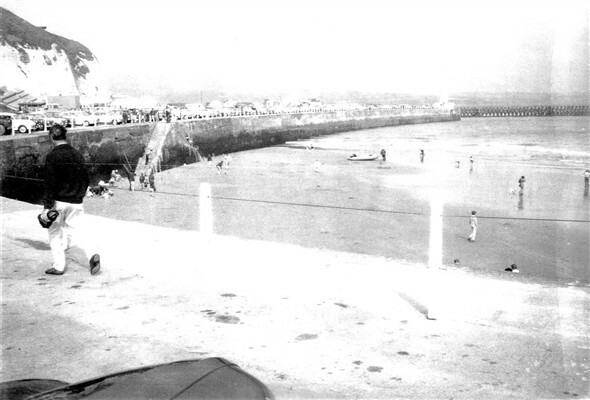 In those days, the ferries would turn through 180 degrees off the breakwater and enter the harbour stern-first. They would display two black balls from their after mast to indicate that they were going astern. One of the 'V' twins is seen either arriving or departing on what looks like a wet and windy day. Perhaps the small catamaran is taking shelter in the bight of the breakwater. 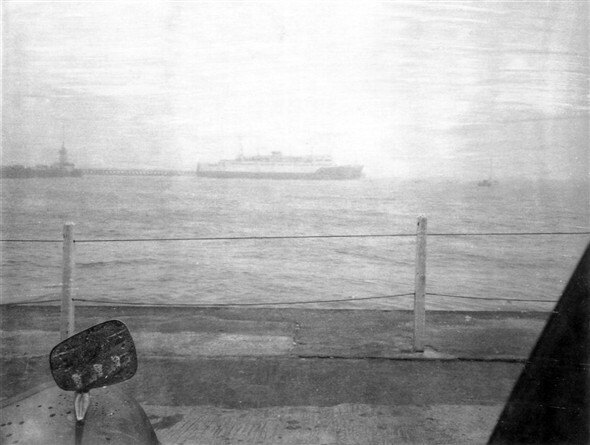 Rather blurry, but I can tell you that the ship seen moored nearest to the camera is the Ulysses Reefer, one of our regular 'banana boats'. A bit grainy, but a good view of the harbour taken from Castle Hill. 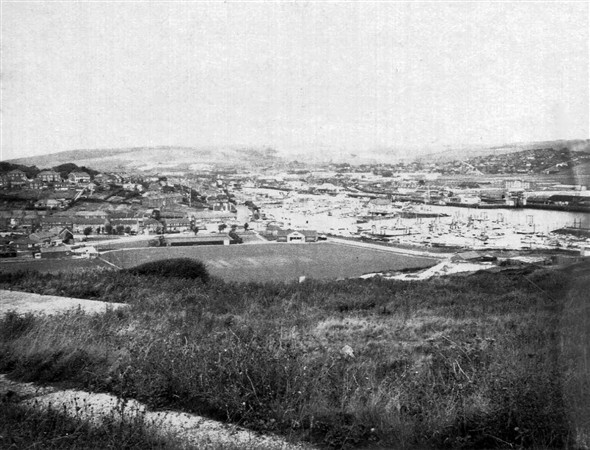 Fort Road Rec is prominent in the foreground, with the cricket sight screens indicating that the season is probably summer.